“I’m boooored!” “She’s looking at me!” “He started it!” “When are we going to be there?” “I have to use the bathroom…now!” “I’m hungry.” “Can you reach my book? I dropped it!” “Can we watch Frozen again?” These are just a few of the dreaded terms parents hear on road trips (and also the reason my husband and I don’t take road trips any farther than the airport with our four) and it’s just the start. 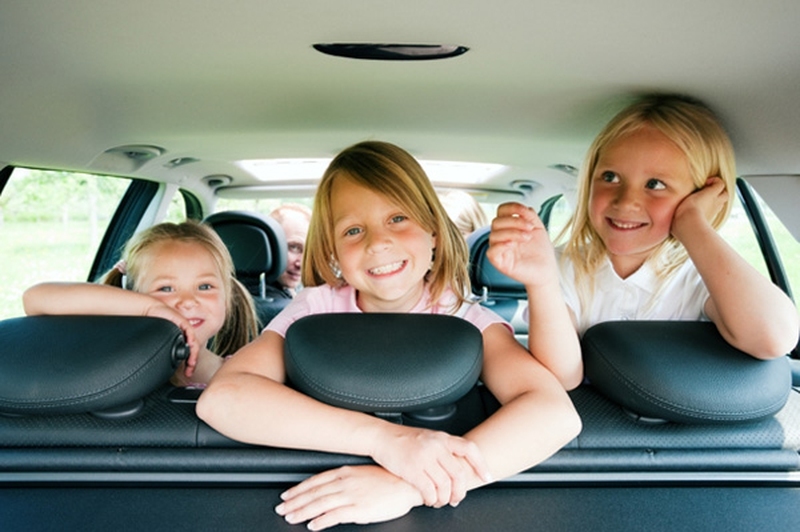 Whether your trip is an hour long or 10 hours long, kids are notoriously bored and irritating in cars. They’re suddenly kids who can’t read, who don’t like any of their movies and who can’t find even one song that they want to hear. If you’re heading out on a road trip with kids, you’re going to want to download a few new apps and everyone is going to need a tablet of their own. We can’t provide you with the tablets, but we can tell you some really great apps that will save you from a meltdown on a road trip. This is the perfect app for older kids. It allows them to play a game in the car that actually makes the trip more exciting. They will have to keep their eyes peeled for things that they see along the road, such as license plates and different vehicles and colors and plenty of other things. This is the only way to win the game, and they’re going to find the competition fierce. In fact, the entire family might want to play. This app is available for almost every type of mobile device around, and it’s something we highly recommend. I don’t know about you, but my kids have figured out how to use YouTube even though the extent of our YouTube use is finding videos to correlate with my articles. Our kids, however, have figured out that apparently iPhones have a YouTube app and they use ours all the time; and sometimes that’s a bit scary. This app compiles videos that are completely kid-friendly so yours will be entertained without you needing to worry that they might encounter something inappropriate on the internet. This is a game available for all smart phone and mobile devices, and it’s good for kids of all ages. It provides endless activity for them in the form of games that they can play interactively. And the best part is that they can play as long as they want and keep themselves entertained for a long period of time in the car. They’ll be so engrossed that you won’t even hear from them for a while. Server responsed at: 04/22/2019 12:10 a.m.